The prophecy has come true! In a kind of half-arsed way. Too bad the shirts from February 2008 are no longer available. So here's the deal: Yahoo and Microsoft have formed a partnership of sorts where Yahoo uses Microsoft search technology and Microsoft leverages Yahoo's media and eyeballs — I think. Our attention is naturally drawn to Google, the dominant search engine in the English speaking world and how much of an effect (if any) Microhoo will have on it. As I mentioned here already, Dana Gardner and I briefly talked on Twitter about the possibility of Microsoft using it's newly acquired clout to undercut Google on price and in effect kill off their only major source of revenue. It's an interesting prospect; certainly history is ripe with examples of formerly big companies that Microsoft has taken down with such shrewd (and sometimes legally dubious) tactics. The word dubious is. In the short term though I don't see it happening. The assumption here is Microsoft and Yahoo can offer a lower priced product; in this case paid search advertising; and therefore take customers away from Google. As with GNU/Linux on netbooks though, price alone has been shown not to be enough to get people to change. The other simple fact is it's not a level playing field. Google commands the lions share of the search market, if people want to do business online they go to Google. When I first heard about Microhoo 2.0 I made this diagram to illustrate. To preempt any negative comments, yes it is very exaggerated but it makes my point! Could this change in the medium to long term? With Microsoft's previous MSN, then Windows Live, then Bing efforts I felt bad for them, but with Yahoo it's a possibility. Adding two failing ventures doesn't automatically create a successful one though; if they both largely continue business-as-usual nothing will change. 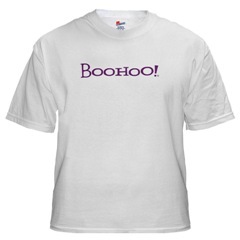 It's a brilliant move on Microsoft's part; they got to butcher Yahoo without having to spend much money at all. Not sure what's really in it for Yahoo. I tell you what though, I'm nervous about logging into my Flickr and Delicious accounts and seeing Bing logos everywhere. What about people with Yahoo email accounts?